and decided to deploy a virtual router. Follow the requirements below, and configure the virtual router. and verify the reachability to HQ by ping. ESP Proposal 1 and 2 is same are IKE Proposal 1 and 2. Pre-shared Secret key: Same as team password. Read the following description and troubleshoot Switch2. Remember to follow the rules written in the Guidelines section for solving the problem, and verify your solution by the method written in the Goals section. A network engineer changed the configuration of Switch1 and Switch2 during lunch. These switches were properly functioning after the configuration was changed. However, the engineer accidently dropped Switch2 when he was carrying these switches, and switch2 broke. Although the engineer prepared a replacement for Switch2, he had to leave his desk for a meeting, and left the switch without completing the configuration. Due to the incompleteness of the configuration, switch2 cannot properly communicate with its neighbor devices. 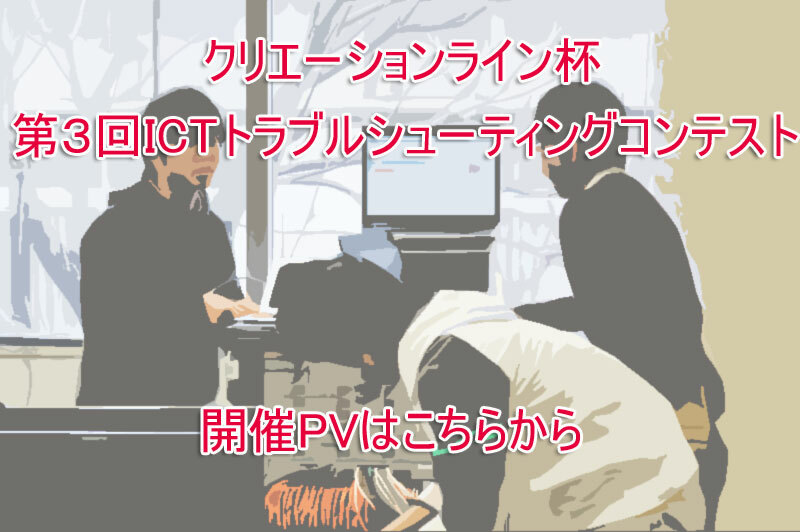 ①Clients that are in the same VLAN do not have reachability. The switchs’ ports are configured with the same VLAN. ②The config of switch2 is incomplete. Don’t change the configuration of Switch1. If the configuration of Switch1 was changed, your score will be deducted. But participant can show the config of switch1 by console. Considering the configuration of new Switch2 from the configuration of Switch1. There are each same VLAN ID ports on these switches. The configuration of Switch2 is the state that is not erased it, even if Switch2 restart. A ICMP packet can communicate correctly same VLAN ID ports in these switches. There is a WEB server that has been operating for a long time. One day, emloyees complained that the web server could not be accessed. After looking in to the problem, an engineer found out that the server was rebooting frequently. Investigtate the casue of the reboot. The server is frequently rebooting, and employees cannot access the web server during that time. Please don’t use the yum command. It has been decided that a network environment will be deployed in the new office. A router with minimum configuration was deployed, so that it would allow telnet connection from remote locations. Configure the router based on the topology shown. Also, since there is a possibility that local employees have put unnecessary configuration mistake, please correct that case. A junior engineer caused the error on Redmine. Determine the error occurred on Redmine. Even if the junior employee carries out the same steps he has done before, Redmine should not show any error. A junior engineer was asked to configure OSPF. While she was verifying her work, she noticed that the router was not receiving any routes from RT2. Do not change the settings other than RT2. Route information is not transmitted to RT2. Neighbor are FULL, but some routes do not have reachability. Make sure that OSPF works properly within the 3 routers. You were introduced Redmine as progress management in the newly-house employees of Pokupoku Corporation. I was deployed on August 31, 2014. And, on September 1, 2015, the following email was received from an employee. This e-mail is regarding to the problem written in the subject. When I try to access the login page on Redmine, I see an unfimilar page. I would like this problem fixed ASAP. Redmine could be successfully logged in on August 31. After you fix this error, create one a new test ticket on Redmine. New server has been introduced into the branch office. To SSH connection, password authentication is very vulnerable and password-management is very hard. So the office decided to connect using public key authentication from an intermediate server. The public key was copied to the new server from the intermediate server, but the access was denied. Simple password authentication passes, but accessing with public-key is denied.Please be able to connect with public-key auth. Our company, PokTech, Inc., is publishing corporate website. Our website is hosted by 10.X.8.2(X is team number). This is in our DataCenter. Topology is as follows. Although the real topology is a little bit more complicated, some network that is not related is omitted from the above. One day, our officer, Yotaro, received an email. I will take over your web server on Aug 30, 13:30. Maybe it’s a spam, but it’s no doubt a crime notice. We want you to monitor network and see if there will be any problem. If something goes wrong with the network, please tell us the symptom, cause and the steps for restoring the network. Before you start working on restoring the network, you will have to report the procedures involved. Please work as quickly as possible. Company web site becomes a different content when it comes to crime notice time.